Safety is our primary concern at Sendero Power Line Construction. We strongly insist that all of our valued employees work in an environment where they know that they are safe, and are expected to work safely. From daily tailgate meetings, to crew safety meetings, to our annual safety bonuses, we know that safety pays. 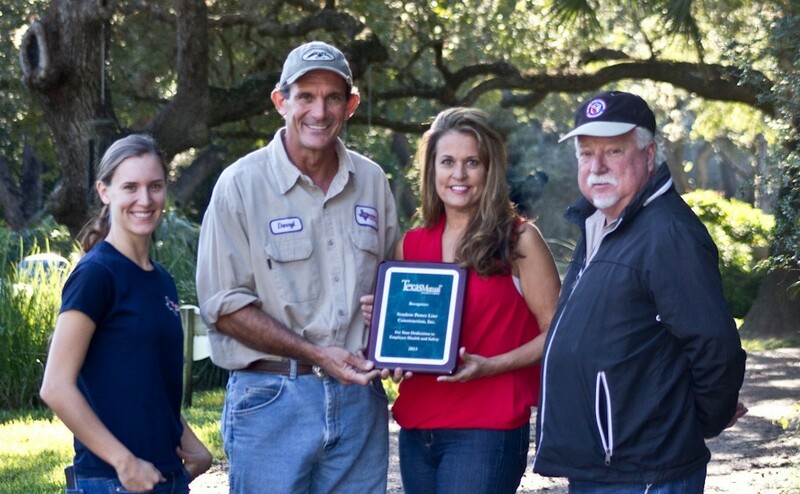 The Texas Mutual Insurance Award for Employee Health and Safety was graciously bestowed to Sendero Power Line Construction in 2013, as a testament to how our employees always exercise safety precautions on and off the jobsite.